Hilary Graves spent just a handful of years in Hawaii -- from age 11 to her graduation from Moanalua High School in 1991 -- but she feels quite rooted in the islands. Both her daughters have Hawaiian middle names: Mahana and Kainoa. And when it came time to start her business, she gave it a Hawaiian name. 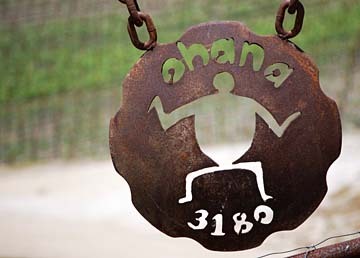 At Ohana Vineyard in the small town of Creston, just outside Paso Robles, Calif., Graves runs a small operation growing grapes that she turns into wine with names like Monkey Wrench and Rock Candy. "Until very recently, when people would ask, 'Where are you from?' I'd always say, 'I'm from Hawaii.' It was really a defining thing in my life." She recalls studying Hawaiian language at Moanalua from Claire Manutai, a teacher she remains in touch with. Hers was one of the first classes to study Hawaiian in the public schools, Graves says, and Manutai also had them learn about hula and Hawaiian cooking. The lessons had a lasting influence. So although her family has since moved away, Graves returns to Hawaii at least once a year. It helps that her husband, Simon, lived on Maui for a time, earning the state windsurfing championship in 1992. Graves makes one of those visits next week for a fundraising event for the Lupus Foundation of America's local chapter. It's harvest time at Hilary Grave's Ohana Vineyard and the grape vines are showing their autumn colors. Hilary Graves makes a good case for career improvisation. If not for a willingness to follow her muse, she'd be working in a library today, rather than tromping around her own vineyard, tending the grapes, then tending her own brew as it happily ferments into wine. "Winemaking is my thing," Graves says. "That sounds so crazy coming out of my mouth." Not so crazy, really. Master sommelier Chuck Furuya selected Graves as one of a select group to share their wines at a benefit he's hosting for the Lupus Foundation of America's local chapter next week. "I love Hilary's true passion for wines and I celebrate that she is one of the few but growing number of females in the industry," Furuya says. Her wines are elegant and suave, he adds. "I'm fascinated that she brings such intricacies to such rugged, rustic, normally robust grape varietals." The path to the vineyard began when Graves graduated from Moanalua High School in 1991. She earned a bachelor's degree in business administration at Fresno State University, but a job at the library turned her toward Texas Woman's University for a graduate degree in library science. This led to a job in the Viticulture and Enology Research Center Library back at Fresno State (viticulture and enology cover grape-growing and winemaking). "I started taking classes in viticulture, so I could help the clients that used the library," she says. "Before I knew it I was growing grapes." OK, there was stuff in between. She met and married Simon Graves, a winemaker originally from South Africa, and had two babies. She entered the graduate viticulture program at California Polytechnic State University, planning to write her thesis while the kids were asleep, an idea that makes her laugh today. "Looking back I can't believe how totally pathetic that was, but back then I thought it was totally realistic." 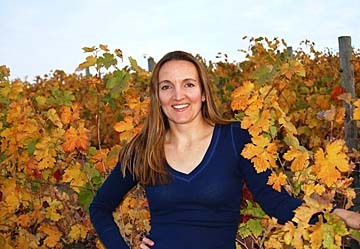 She never completed the degree, but did begin managing vineyards in the Paso Robles area and in 2002 she and her family opened Ohana Vineyard in the small nearby town of Creston. "I think that when we planted the vineyard I still thought we would move back to Hawaii," she says, thus the Hawaiian name for family. "But the vineyard is also such a family operation." She, husband Simon and her parents, Bob and Karen Shirey, planted the property in syrah, grenache, mourvedre and tempranillo grapes. "We literally planted every inch, drove every stake, installed the drip system, everything." Her parents live on the 9-acre vineyard and help run it; she lives with her family a mile down the road on a vineyard owned by Foster's, the Australian company known mostly for beer. Simon is Foster's director of wine and grape production in California. Graves made her first wine, a syrah, in 2002. She produces just 1,000 cases a year -- a small amount in this industry -- with distribution in Hawaii, California, New York and New Jersey. Currently available: the 2006 Monkey Wrench (a grenache that Furuya says has "riveting purity"; the 2006 Syrah ("seamless, well-textured and has a wonderful balance"); and 2005 Rock Candy, a blend of syrah, grenache and mourvedre. Except for the Monkey Wrench, Graves now makes all her wines using Ohana grapes. She figures she's five to seven years away from turning her wines into a viable business, but she's committed, concentrating now on courting distributors and selling. "It's so personal when you grow the grapes yourself, and make the wine yourself," she says. "It becomes so personal that you think, 'How can people not want to buy my wine?'"